'Letters from Baghdad' Shows Iraq Through Eyes of British Spy Who Shaped It - Integration Through Media ....! 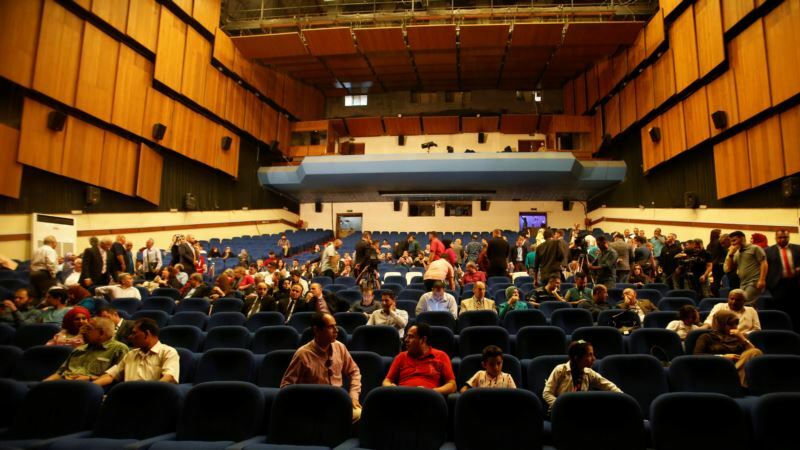 (VOA): “Letters from Baghdad,” a documentary on Gertrude Bell, the British writer, explorer, spy and political officer who helped shape modern Iraq, had its first screening in the country on Monday, drawing loud applause from an audience of academics, diplomats, journalists and others. The documentary shows hitherto unseen footage of Iraq as it was being pulled together into a new state a century ago, with a script taken entirely from Bell's letters and official documents and read by British actress Tilda Swinton. It also throws some light on Iraq's current challenges as it emerges from a war with Islamic State militants and seeks to reconcile its Shi'ite majority with its Sunni and Kurdish minorities. “It's a wonderful movie. But as an Iraqi viewer I would have liked it to go deeper into the political and historical aspects and the decisive influence she had in creating the Iraqi state,” he said, referring to the fact that parts of the documentary focused mainly on Bell's private life. Its screenings in Baghdad and elsewhere in Iraq have been organized by the Iraqi Ministry of Culture and coincide with the 150th anniversary of Bell's birth. It explains the key decisions made by Bell as a political officer in the British colonial administration ruling Iraq after World War One. Among these were the decision to include Sunni-majority Mosul and Kurdish areas in the north into the Iraqi state being pulled together by the British, and choosing Faisal bin Hussein from the Arabian Sunni Hashemite dynasty as king. Bell drew up Iraq's borders based on her knowledge of the local populations she encountered as an explorer, when the Arabian Peninsula and Mespotamia were still under Turkish Ottoman control. Bell, who died in 1926 and was buried in the city, also founded the Museum of Baghdad to showcase and preserve the Sumerian and Babylonian heritage of Mespotamia. The museum was plundered during the 2003 U.S.- and British-led-invasion which ousted Saddam Hussein and brought Iraq's Shi'ites to power.